I don't have a printer at home but was wanting to print my creations through a proper photo printing company. The question I have though, if the collage contains several images that are copyrighted (images I have just saved from the net). Would the printing company still do this for me? or don't they really care unless copyright information is visible? (Oct 9, 2014 11:07)ofnuts Wrote: Unless you are trying to print banknotes they don't care (and even if you print banknotes, because you'll have a a hard time finding a person stupid enough to accept a banknote printer on photo paper). 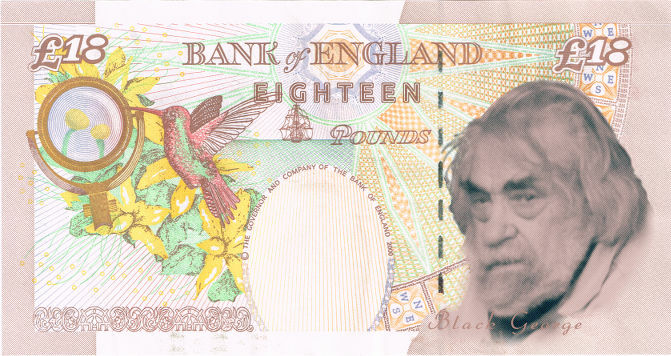 Oh, sometimes works, I can usually manage to exchange one of these for either two 9 pound notes or 3 six pound notes. Yes they can do.I've seen their other work too - prints holding up to get got of pamphlets, monster blurbs/flags and even books and every one looks unimaginably expert and influences me to wish I had cool things like that to get printed hah!Actually what are you try to print?